Recent evidence strongly suggests that regular aerobic exercise can help reverse the “stiffening” of the heart muscle caused by diastolic dysfunction. Diastolic dysfunction often produces a significant reduction in exercise capacity and can lead to a type of heart failure known as diastolic heart failure. A program of aerobic exercise can improve the symptoms of diastolic dysfunction and enhance the quality of life. The beating of the heart is divided into two phases—the beating phase (when the heart muscle contracts and ejects blood into the arteries), and the relaxation phase (when the heart fills with blood to prepare for the next heartbeat). The beating phase is called systole, and the relaxation phase is called diastole. In diastolic dysfunction, a stiffening of the heart muscle affects the diastolic phase of the heartbeat, making it more difficult for the relaxing heart muscle to completely fill with blood. During exercise, the heart is normally able to substantially increase the amount of blood it pumps with each beat. Part of this increase, of course, is a stronger contraction during systole, in order to eject blood faster. But equally important is an ability to rapidly fill the heart with blood during diastole. Diastolic dysfunction—a stiff heart muscle—prevents this rapid filling. As a result, the amount of blood the heart can pump with each heartbeat is limited. Patients with diastolic dysfunction typically have a limited exercise capacity, and they often complain of dyspnea on relatively minimal exertion. It has been known for a long time that regular aerobic training can substantially improve exercise capacity and quality of life in patients with typical heart failure—that is, heart failure associated with a weakened, dilated heart muscle (also known as dilated cardiomyopathy). More recently, it has been demonstrated that the same kinds of results can be achieved with aerobic training in patients with diastolic dysfunction. In particular, regular aerobic exercise can actually reduce the stiffening of the heart muscle and improve the filling of the heart during diastole. Randomized trials in patients with diastolic heart failure have demonstrated that regular aerobic training for three to four months can significantly improve exercise capacity, symptoms of shortness of breath with exertion, and quality of life measures. It is important to stress that with diastolic dysfunction it is aerobic exercise and not weight lifting or strength training that improves cardiac stiffness. In fact, there is evidence that in these individuals strength training may worsen the problem by causing the heart muscle to hypertrophy (thicken) in a way that increases cardiac stiffness. 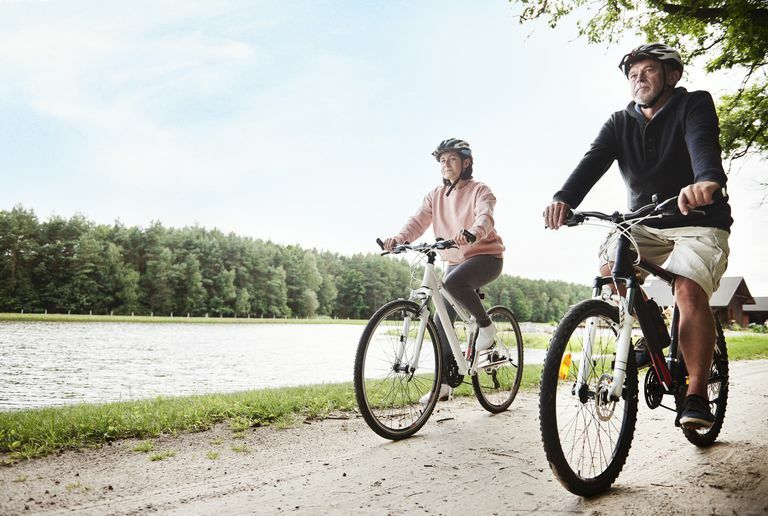 Aerobic exercise—typically, walking, cycling, or jogging—is a more sustained, lower-intensity form of exercise in which the energy demands of the muscles are met by consuming oxygen. If you have diastolic dysfunction, odds are high that you will benefit from a program of aerobic exercise. Not only are you likely to feel better after a few months, but also you may begin to reverse the stiffness of your heart muscle, and (more importantly) prevent the onset of diastolic heart failure. You should talk to your doctor about beginning the aerobic exercise, or even about participating in a formal cardiac rehabilitation program, to get you started in the right direction. Zile MR, Baicu CF, Gaasch WH. Diastolic heart failure — abnormalities in active relaxation and passive stiffness of the left ventricle. N Engl J Med. 2004; 350:1953. Kitzman DW, Brubaker PH, Morgan TM, et al. Exercise training in older patients with heart failure and preserved ejection fraction: a randomized, controlled, single-blind trial. Circ Heart Fail. 2010; 3:659. Edelmann F, Gelbrich G, Düngen HD, et al. Exercise training improves exercise capacity and diastolic function in patients with heart failure with preserved ejection fraction: results of the Ex-DHF (Exercise training in Diastolic Heart Failure) pilot study. J Am Coll Cardiol. 2011; 58:1780.